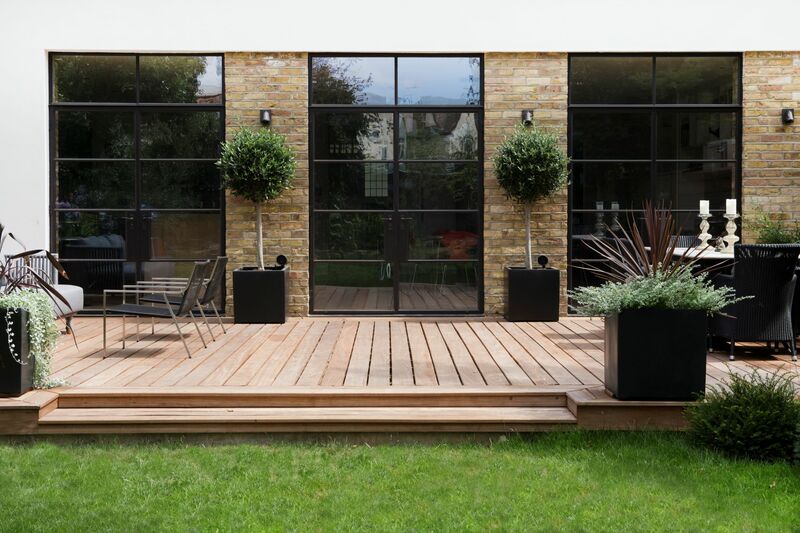 This extensive home renovation in Barnes, south-west London, was commissioned by a private client and completed by Richmond Bell Architects, working with Structural Engineering Services, in July 2018. 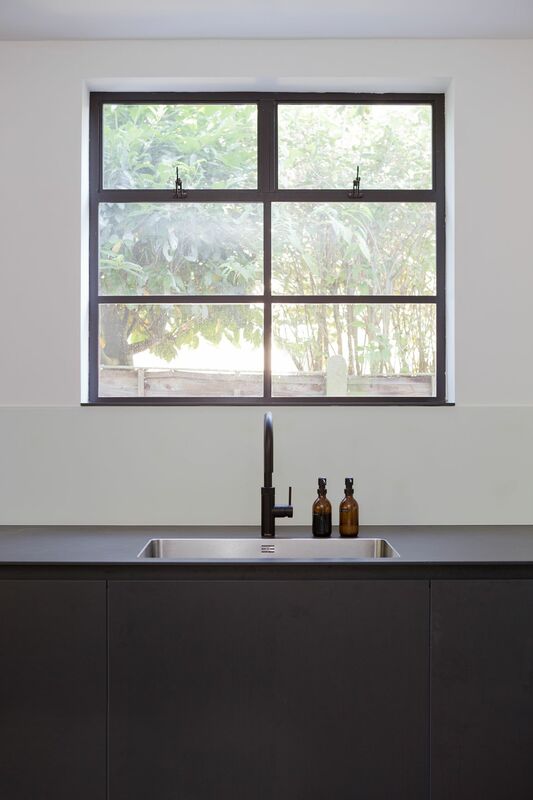 A single storey extension was built to contain a large, open-plan kitchen-dining room that opens out through Fabco steel windows and doors onto a new wooden deck, which has plenty of space for outdoor entertaining. 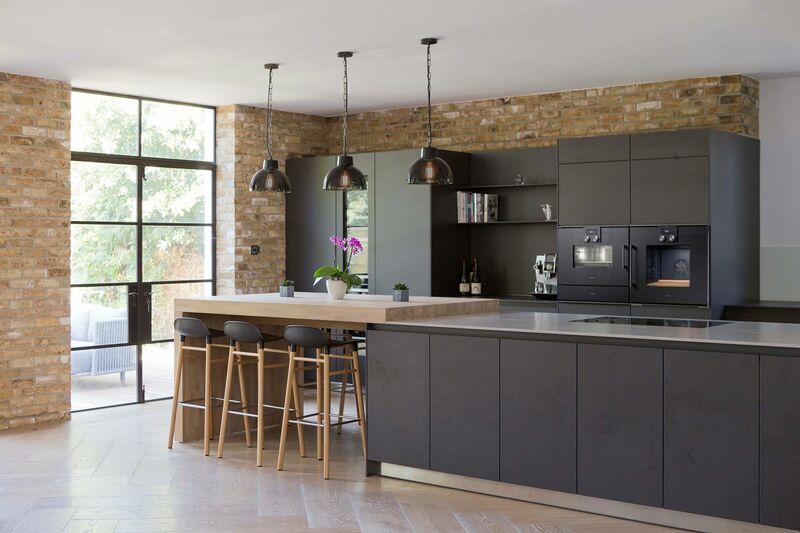 The London stock brickwork was left exposed and provides a good textural contrast with the sharp lines of the contemporary kitchen and the smooth, waxed wooden flooring that covers the entire of the ground floor. 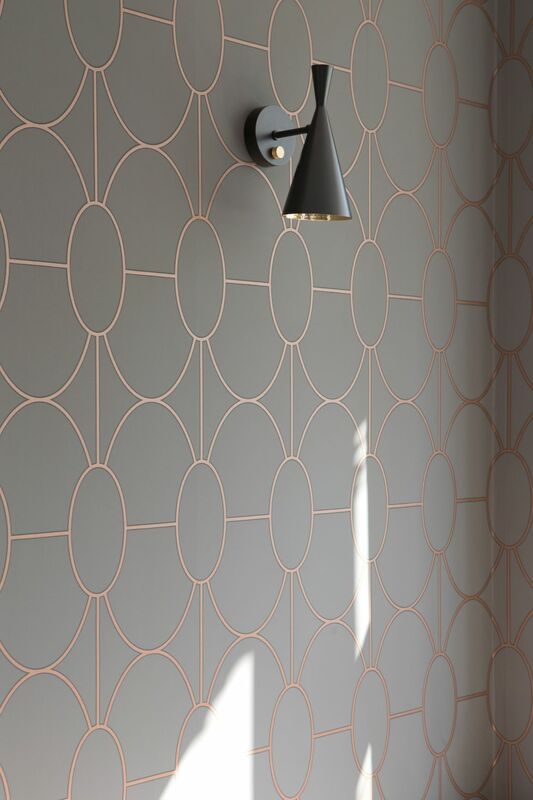 Upstairs, the layout of the first floor was redesigned to create a new master bedroom and en-suite bathroom, and the second floor was also reconfigured and expanded to provide two further bedrooms and a shower room. 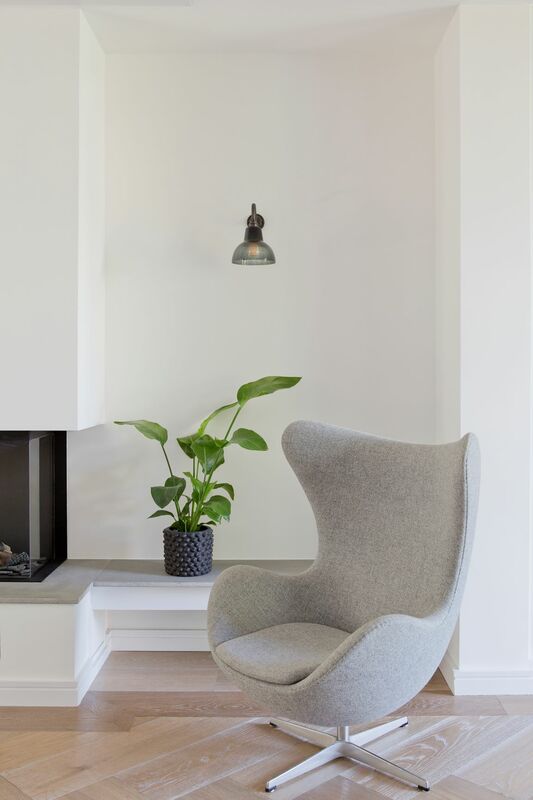 The interior design throughout the house was carried out by Chloe Cooke Design and includes some bold statement Cole & Sons wallpaper and a large, pendant light in the main living room, as well as a modern, Dru fireplace in the newly-created family area.